A firm obtains its funds from a variety of sources. Some capital is provided by suppliers, creditors, and owners, while other funds arise from earnings retained in business. 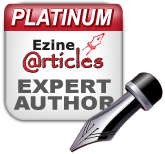 In this segment, let me explain to you the sources of short-term funds supplied by creditors. Cost of Funds: Some forms of short-term financing may prove to be expensive than that of intermediate and long-term financing while some short-term sources like Accruals and Payables provide funds at no cost to the firm. Rollover Effect: Short-term finance as the name indicates must be repaid within a period of one year – though some sources provide funds that are constantly rolled over. The funds provided by payables, may remain relatively constant because, as some accounts are paid, other accounts are created. Clean-up: This happens when commercial banks or other lenders demand the firm to pay-off its short term obligation at one point in a financial year. Funds are needed to finance inventories during a production period. Short term funds facilitate flexibility wherein, it meets the fluctuating needs for funds over a given cycle, commonly 1 year. To achieve low-cost financing due to interest free loans. Accounts payable are created when the firm purchases raw material, supplies, or goods for resale on credit terms without signing a formal note for the liability. 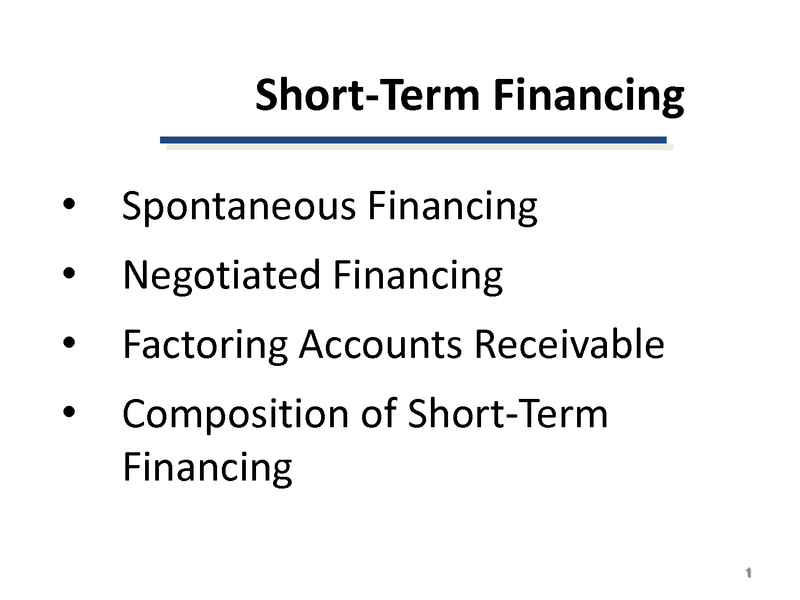 These purchases on “open account” are, for most firms, the single largest source of short-term financing. 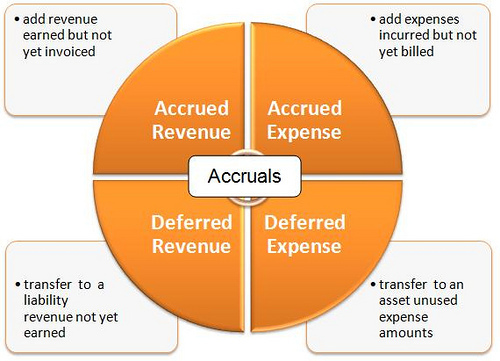 Payables represent an unsecured form of financing since no specific assets are pledged as collateral for the liability. Even though no formal note is signed, an accounts payable is a legally binding obligation of a firm. 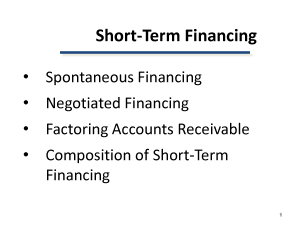 These are short term liabilities that arise when services are received but payment has not yet been made. The two primary accruals are wages payable and taxes payable. Employees work for a week, 2 weeks or a month before receiving a paycheck. The salaries or wages, plus the taxes paid by the firm on those wages, offer a form of unsecured short-term financing for the firm. The Government provides strict rules and procedures for the payment of withholding and social security taxes, so that the accrual of taxes cannot be readily manipulated. It is however, possible to change the frequency of paydays to increase or decrease the amount of financing through wages accrual. Wages — Benefits accrue via no direct cash costs, but costs can develop by reduced employee morale and efficiency. Taxes — Benefits accrue until the due date, but costs of penalties and interest beyond the due date reduce the benefits. The bank provides funds for a seasonal or cyclic business peak and the money is used to finance an activity that will generate cash to pay off the loan. Borrowed Funds → Finance Inventory → Peak Sales Season → Receivables → Cash → Pay Off the Loan. Single payment note – A short-term, one-time loan made to a borrower who needs funds for a specific purpose for a short period of time. Line of Credit – An informal arrangement between a bank and its customer specifying the maximum amount of credit the bank will permit the firm to owe at any one time. One-year limit that is reviewed prior to renewal to determine if conditions necessitate a change. Credit line is based on the bank’s assessment of the creditworthiness and credit needs of the firm. “Cleanup” provision requires the firm to owe the bank nothing for a period of time. Revolving Credit Agreement – A guaranteed line of credit that the firm van borrow up to a specific limit regardless of the degree of tightness of money.